Lets Put An End To Women Abuse! Hit the escape button above to immediately leave this site if your abuser may see you reading it. A women brought you into this world, therefore we need to help and make sure that they are okay and living a violence-free life! Look around at the women you are with. Think of those you cherish in your families and your communities. 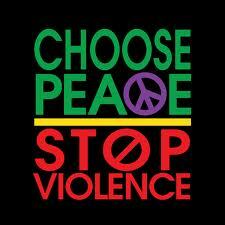 Understand that there is a statistical likelihood that many of them have suffered violence in their lifetime. Even more have comforted a sister or friend, sharing their grief and anger following an attack. Violence and abuse affect women from all kinds of backgrounds every day. Sometimes, women are attacked by strangers, but most often they are hurt by people who are close to them. Violence and abuse can cause terrible physical and emotional pain. But you are not alone, and you can get help. Why are we just sitting when we know that there are women out there who are getting abused. We have to help and make a change! We need women in our lives and we need to help them find the courage and strength to say something. Take a stand and say NO to violence against women!